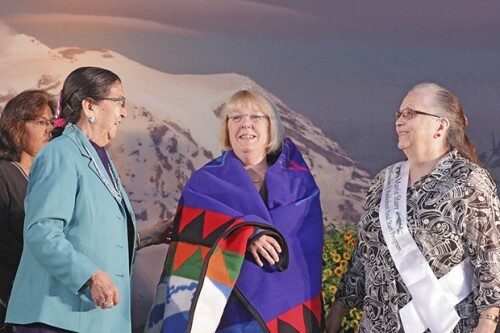 Wrapped in a warm blanket, a gift from the Muckleshoot Tribal Council, U.S. Sen. Patty Murray (D-WA) felt right at home Tuesday. Murray was a special guest, joining tribal leaders, teachers, parents and children to celebrate the 50th anniversary of the tribe’s successful Head Start program. 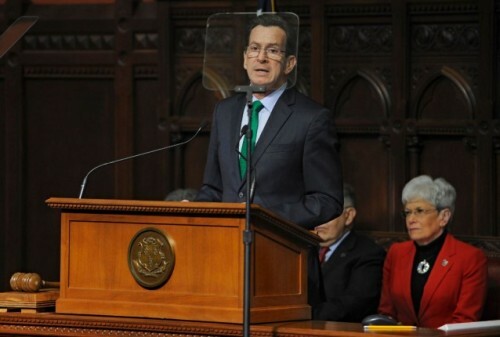 Murray, a ranking member of the Senate Health, Education, Labor and Pensions Committee, has fought to expand access to early childhood education, to ensure schools have the resources they need and to make college affordable. Murray toured the school, took in group reading and learning sessions and listened to music by performed by the Muckleshoot Head Start children. She vows to remain committed to the program and build off its success. The tribe’s Head Start program began as a volunteer, community-driven preschool effort in the late-1950s. In 1965, with approximately 300 enrolled members, the Muckleshoot Indian Tribe received one of the first two federal Head Start grants for Native American Tribes, along with the Navajo Nation, which had approximately 100,000 enrolled members. The program, which originated in the old GSA building in Auburn, initially served 30 children. 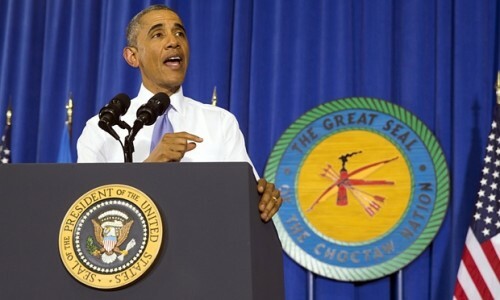 Tribal parents were actively involved in teaching and raising the required 25 percent, non-federal match. Parents were trained in the field of child development and have continued their involvement in tribal education programs to this day. Today, the Muckleshoot Head Start Program serves 120 children ages 3 to 5 years. The program includes Muckleshoot cultural and language education and provides services for special needs children. Over the course of the past 50 years, Muckleshoot Head Start has provided students with the skills and confidence to be ready to learn and succeed in their continuing education. Now called the Muckleshoot Early Learning Academy (MELA), the program includes health, family services, support services, nutrition, transportation, and program management and administration components. By focusing on the whole family, the program is better able to provide the tools for lifelong learning and success. Federal Head Start reviews consistently score the MELA teaching team well above the national average. 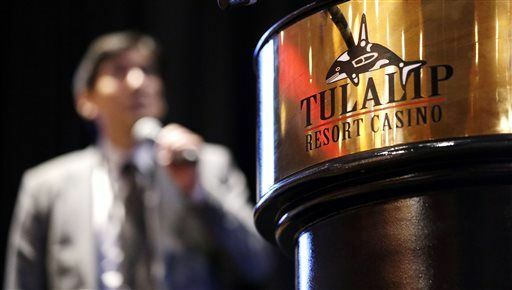 Additionally, MELA was one of only four out of 28 American Indian/Alaska Native grantees in the state to receive a five-year early learning grant. Moved by the program’s success, federal reviewers have asked MELA to mentor other American Indian/Alaska Native Head Start programs to help them improve their scores. – The Muckleshoot Tribe contributed to this report. 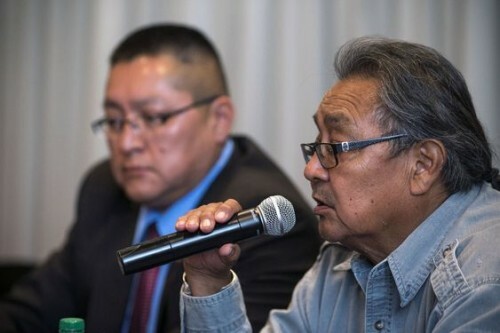 PHOENIX — Hopi tribal leaders and Arizona’s members of Congress are asking U.S. law enforcement to stop the sale of about a dozen sacred Hopi artifacts at a Paris auction house in June. 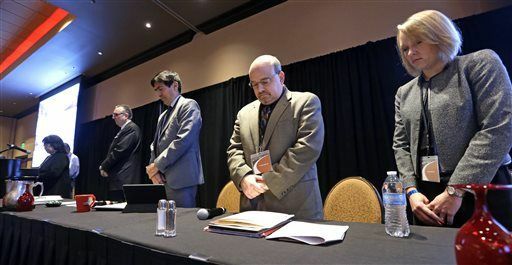 The Hopi Tribe contends the auction house is illegally selling the spiritual objects, known as Katsina Friends, and is urging U.S. Department of Justice and the FBI to help recover them. The items resemble masks and are used during religious ceremonies and dances to invoke ancestral spirits. 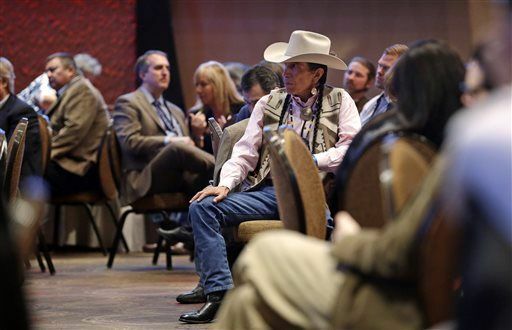 They are communally owned, rarely displayed and never supposed to leave the reservation. This is the sixth time the French auction house, Estimations Ventes aux Encheres, has sold objects sacred to Native American tribes. It has argued that the items legally belong to collectors, and a Paris court has ruled that such sales are legal. Rep. Paul Gosar, R-Ariz., joined Hopi Chairman Herman Honanie on Wednesday to speak about the difficulties the Hopi Tribe has had in repatriating the sacred objects. “It is appalling that a French auction house believes it’s acceptable to profit off the sale of the sacred Katsina Friends,” Gosar said. Arizona’s congressional delegation sent a letter last week asking the Justice Department and the FBI to take immediate action to prevent the items from going to auction June 1 and June 10. The U.S. government has no legal authority to stop the auctions, but Gosar said treaties with France could allow the U.S. to put pressure on the French government to act. The Hopi Tribe has tried to prevent the sale of the objects since 2013. The tribe has sued three times in French court, but judges have dismissed the lawsuits because France lacks laws to protect indigenous people, unlike the U.S. The Hopi Tribe views selling the items as sacrilegious and offensive, Honanie said. In April 2013, a Paris court cleared the way for the sale of about 70 masks for some $1.2 million, despite protests and criticism from the U.S. government. In December of that year, the Annenberg Foundation, a family-run charity, bought more than 20 Hopi and Apache items and returned them to their tribal homes. 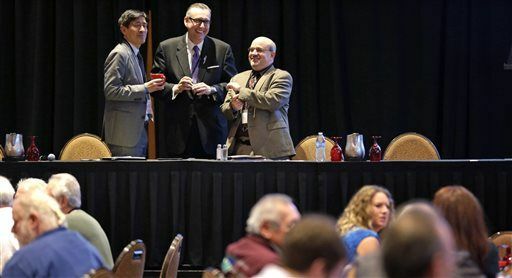 The Hopi Tribe has filed two appeals with a French governmental agency regulating auctions, but the auctions of the items are set to take place before the appeals will be heard, said Pierre Ciric, an attorney representing the Hopi Tribe. “So we are basically chaining up these cases to build a more favorable route on appeal,” Ciric said.